Free Practice: In the free practice sessions as usual the Kaufmann Drivers were on the pace directly. On this new track the Team and the Drivers first tried a few things on the setting and then were able to show the real potential. Shwartzman was the fastest - P 1 - after free practice 2. His Teammates Daruvala and Norris followed on P 3 and P 5. Qualifying 1: On an updrying track, Norris was by far the fastest driver and took Pole Position with more than 1,5 seconds gap. Shwartzman and Daruvala struggeld and qualified on P 12 and P 20. 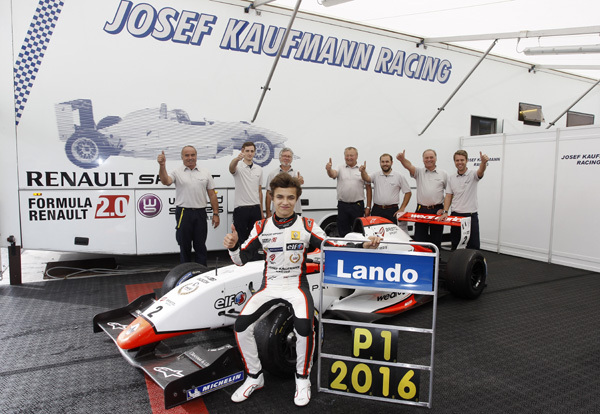 Race 1: The race on Saturday saw all Kaufmann Drivers on a strong race pace. Daruvala made up 10 positions and finished on P 10. 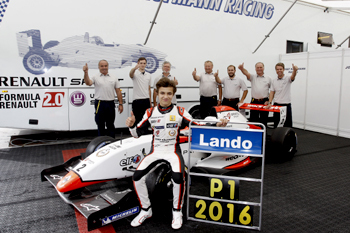 Shwartzman also drove a fantastic race to improve himself from P 12 onto the podium on P 3. Lando Norris was leading the whole race and was in control of the action. A late Safety Car period put all drivers close together again. In the final lap, Norris was attacked from the driver on P2. Into turn 1, Norris was touched sideways from behind and spun. He had to let past the whole field and finished on P 16. Qualifying 2: The second Qualifying on Sunday morning the track was again damp. Norris on P 3, Shwartzman on P 5 and Daruvala on P 6. All Kaufmann Drivers in Top 6. Race 2: Track conditions had been wet for the final race of the season. Daruvala had a ppor opening lap and dropped to P 11 where he also finished the race. Shwartzman drove a good race but also lost one position and finished on P 6. Norris was driving a strong race once more. With fastest race laps he was trying to win the final race. In the end he was running out of time and had to settle for 2nd. Still another podium for this year. 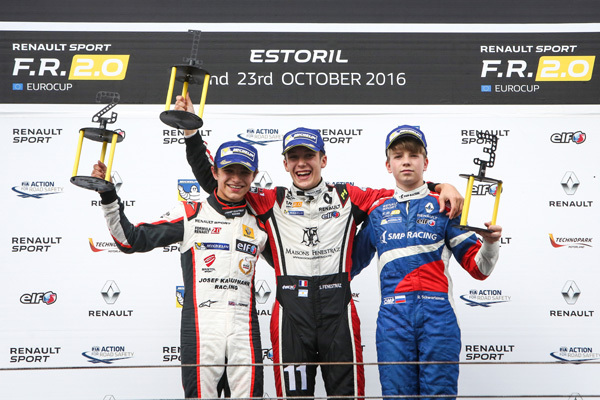 Lando Norris won the Formula Renault 2.0 Eurocup 2016 and the Team of Josef Kaufmann won the Formula Renault 2.0 Eurocup 2016. 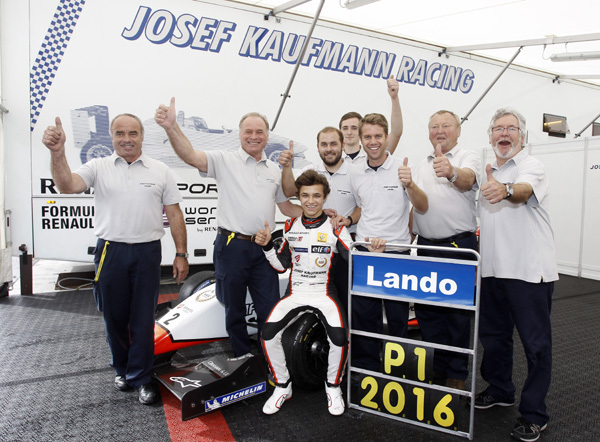 Once more a very successful season for the Team of Josef Kaufmann.